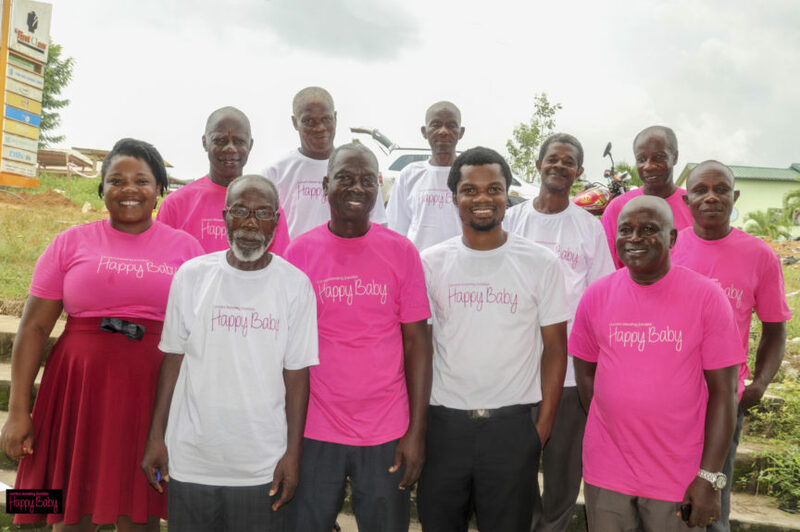 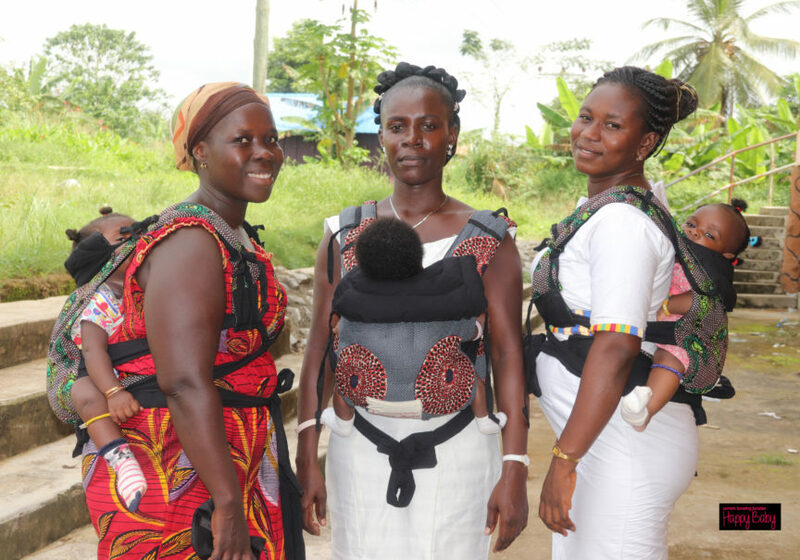 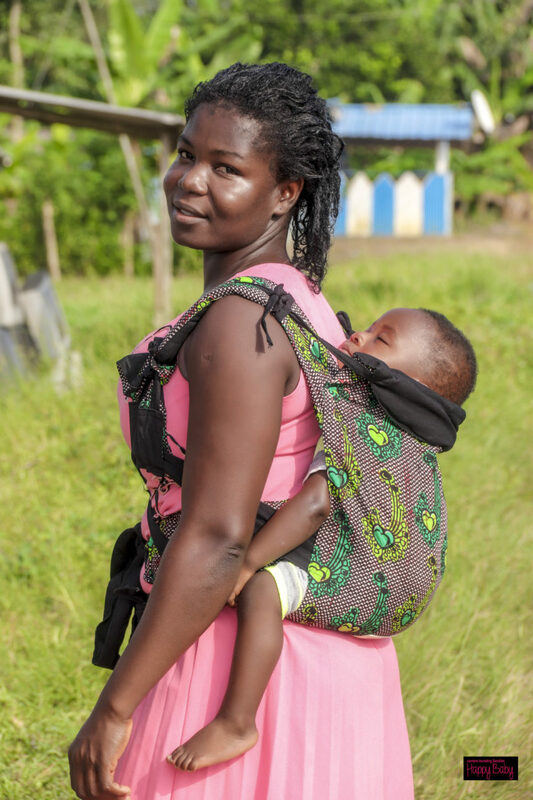 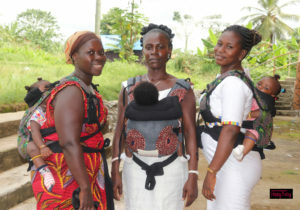 Recipients of the Happy Baby Carrier through our partnership with Palmer’s Middle East, wear their babies in both the front and back positions. 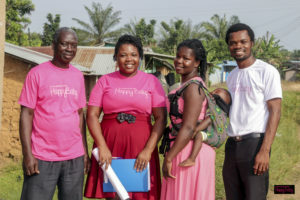 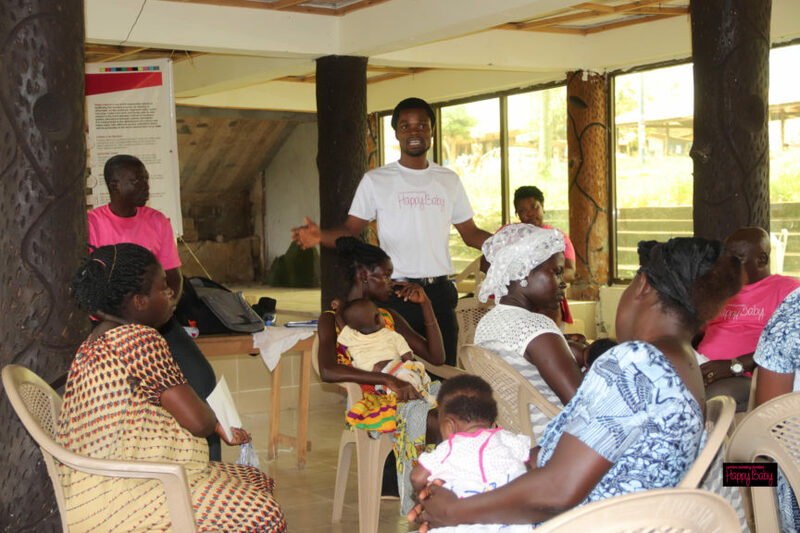 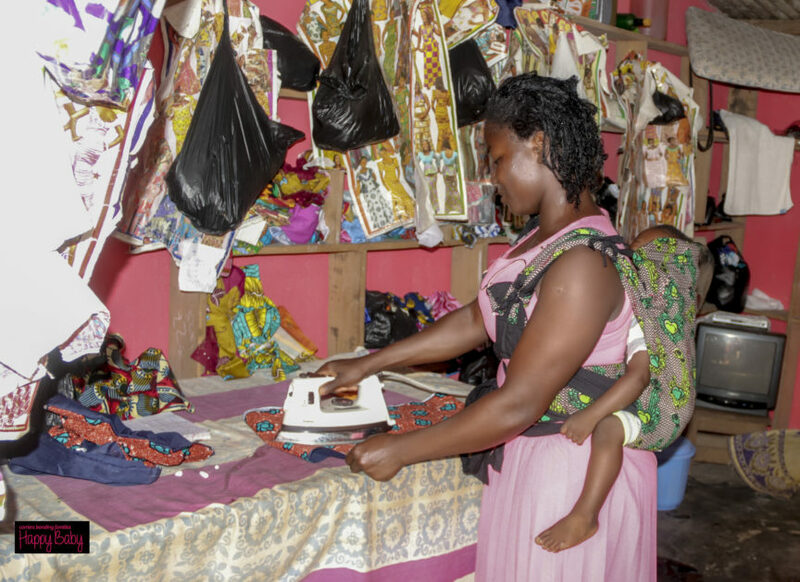 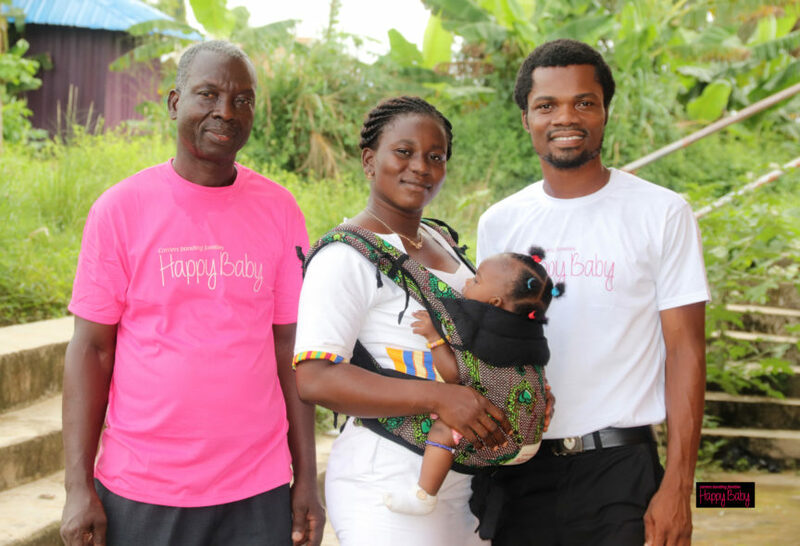 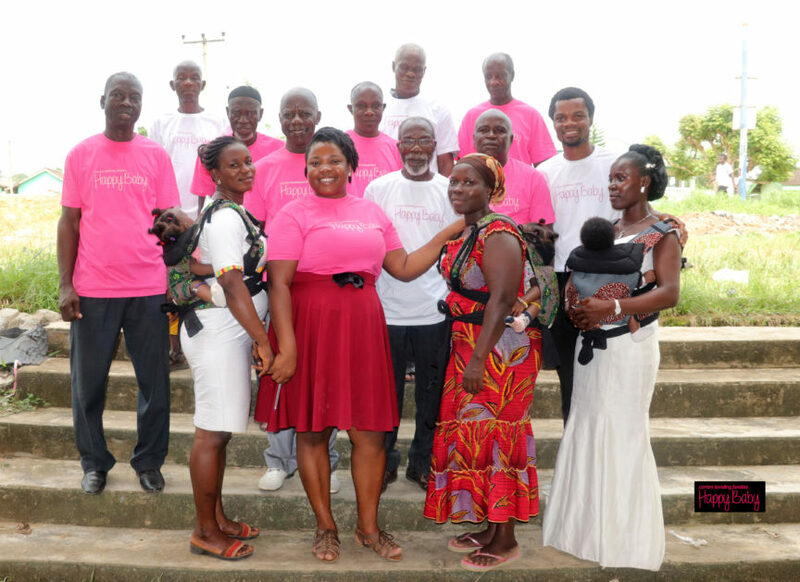 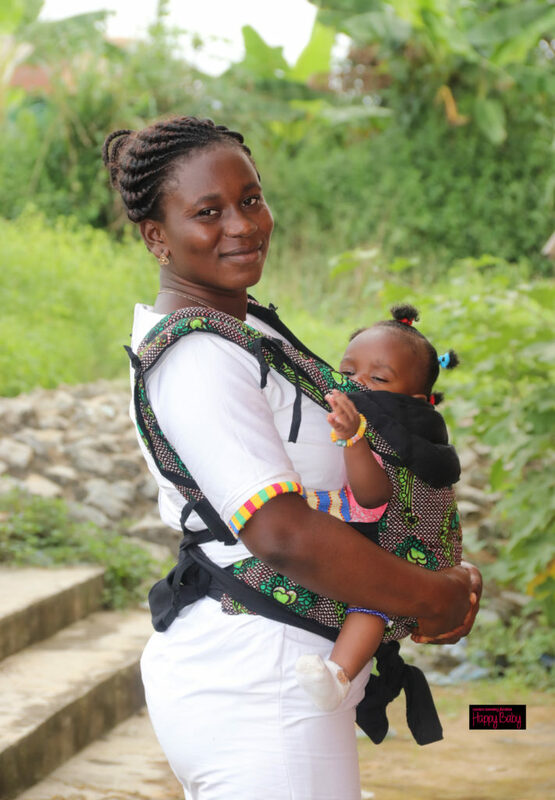 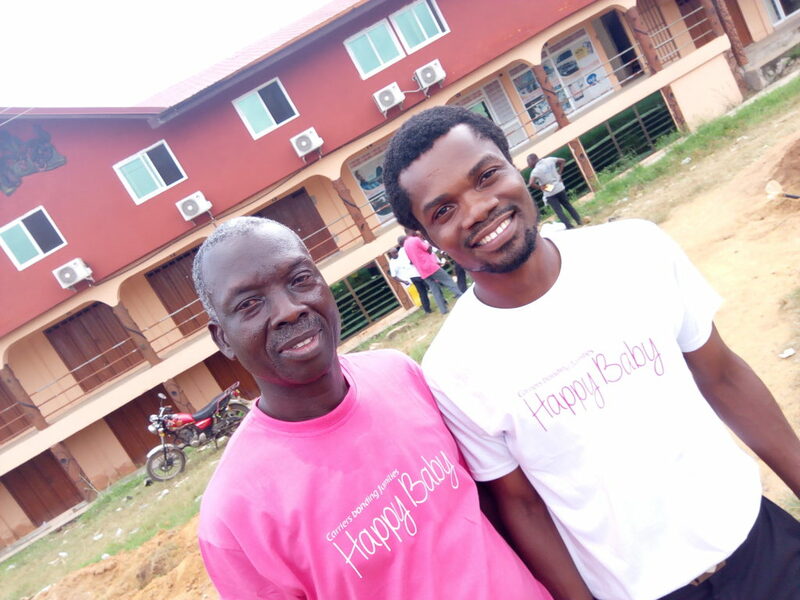 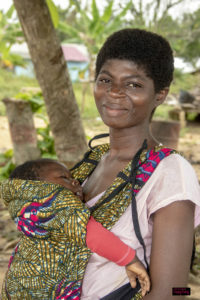 Margaret Essien, Happy Baby Carrier recipient through our Partnership with Palmers Middle East. 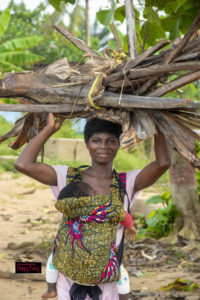 She carries a bundle of palm fronds over her head, with her infant safely in the front position. 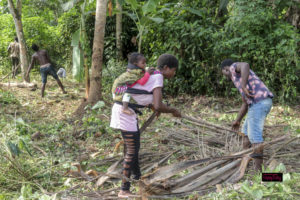 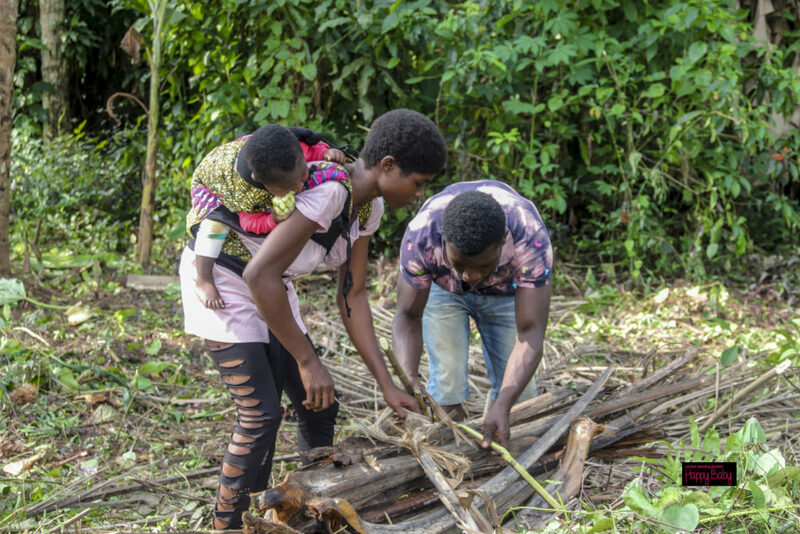 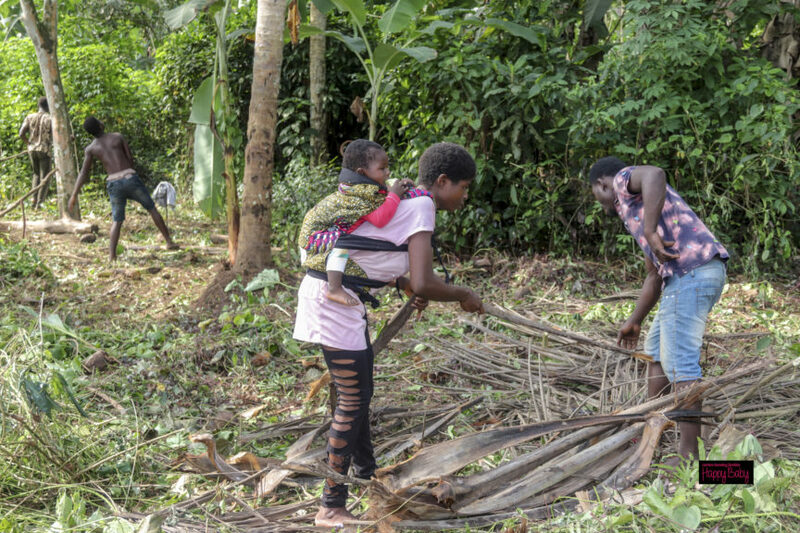 Margaret safely carries her baby while working with her husband on the coconut plantation clearing palm fronds.